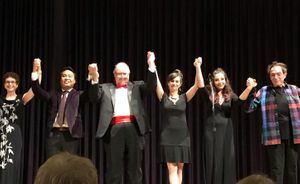 I was honored to sing a couple songs at a concert celebrating the work of Marty Panzer, who has written many hits for Barry Manilow, Barbra Streisand, Julio Iglesias, and many Disney movies. Marty set up each song with super funny stories and antidotes about how the songs came about. It was a special night! 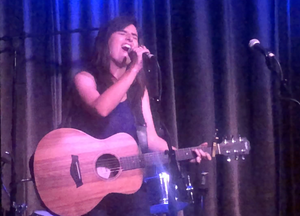 I performed a couple of my original songs at the Hotel Cafe for a private party hosted by one of the music libraries I have songs published with. 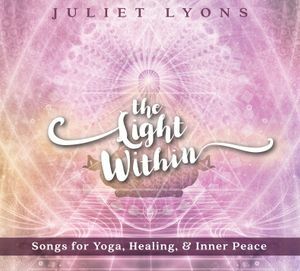 A few of you have noticed the release date for my Yoga/Healing/Inner Peace album keeps getting pushed back. First of all, thanks so much for your support and interest in it! There have been some unforeseen circumstances causing the delay, just know it’s completely finished and will hopefully be worth the wait.